NetSuite SDK | 8x8, Inc.
With tens of thousands of companies using NetSuite to manage their business processes, it’s safe to say that NetSuite is one of the world’s best software as a service (SaaS) platforms. NetSuite is an all-in-one software system that assists in the management of a variety of business operations, including finance and customer relations. It provides your company with a single, web-based solution from which to control and manage your business processes. The software allows you to run your business from the cloud with no recurring software maintenance costs, hardware costs, and upfront per-user license fees. SDK stands for software development kit, which is a set of software development tools that lets a programmer create application programs for specific operating systems or devices. In other words, SDKs are virtual toolboxes with essential programming tools that make developers’ lives a lot easier. Some SDKs include code libraries. Others have visual editors, sample codes, and debuggers. With SDKs, developers don't have to write code from scratch. To allow NetSuite’s developer partners to integrate any NetSuite application into the systems they already use or offer, NetSuite provides resources that will guide them in their development projects. Using the NetSuite SDK, call center software can be integrated with NetSuite services to help a business build strong and profitable relationships with customers through better and efficient interactions. SSO. Once integrated, users can use the single sign-on feature (SSO) to log into NetSuite, sparing them the hassle of logging into multiple systems to get things done. This also ensures access to customers’ details and other relevant information is secure. Screen Popups: Features such as screen popups display the customer’s information directly onto the NetSuite dashboard, hence agents don’t have to switch from their call center software to NetSuite, and vice versa, to find the details they need. All-in-One Solution. With the NetSuite SDK, developers will find it easier to embed all the necessary agent tools for communicating with both customers and fellow agents in the NetSuite app. This allows you to keep track of all interactions between customers and agents in one place that’s accessible to all authorized users, empowering your agents to tailor their service to each customer’s specific needs as a result. Seamless Reporting. NetSuite’s database of all relevant customer interactions can be used to generate timely and accurate call center reports. Single Data Storage. With a single, integrated platform for ERP, CRM, and ecommerce, automating business functions across all departments including sales, marketing, finance, inventory, as well as employee management is simpler. The system allows you to view and share data in real time, which, in turn, enables collaboration among different teams and departments. Upselling/Cross-Selling Opportunities. An efficient CRM system that collects all necessary customer data allows for upsells and cross-sells depending on individual customers’ buying patterns and purchases. Lower Operational Costs. By integrating NetSuite with call center software, you get the benefits of NetSuite’s powerful features and functionalities in your everyday communications platform, improving business performance, increasing security, and eliminating redundancies all at the same time. NetSuite, without a doubt, is a valuable addition to your call center software. With NetSuite SDK, integrating NetSuite with your communications tool becomes a breeze for developers. 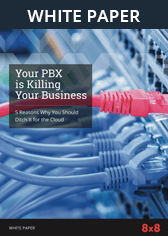 Your cloud provider and available features set directly affects your relationships with your clients, which directly affect your business' bottom line. Choose a superior cloud system and ensure that this effect is for the better. Fill out our online form today or call us at 1-866-879-8647 to request a no-obligation quote from an 8x8 Product Specialist.